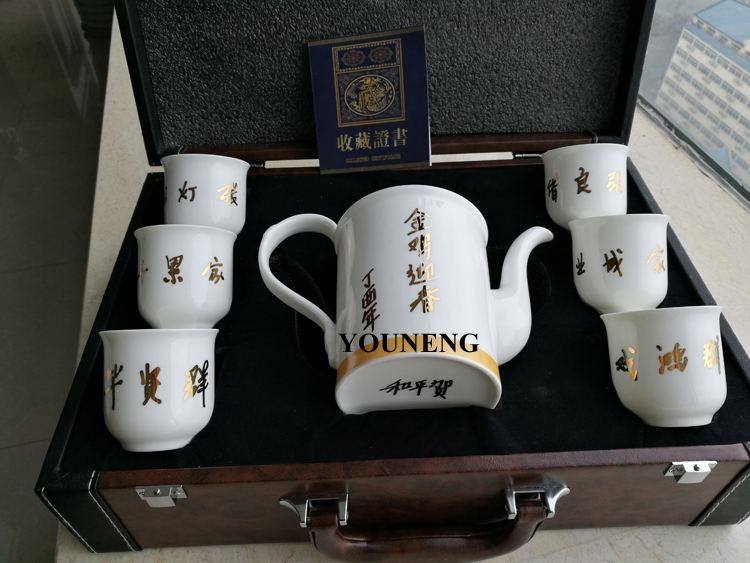 YOUNENG I&T CO.LTD research a new product :Golden Ceramic Maker. 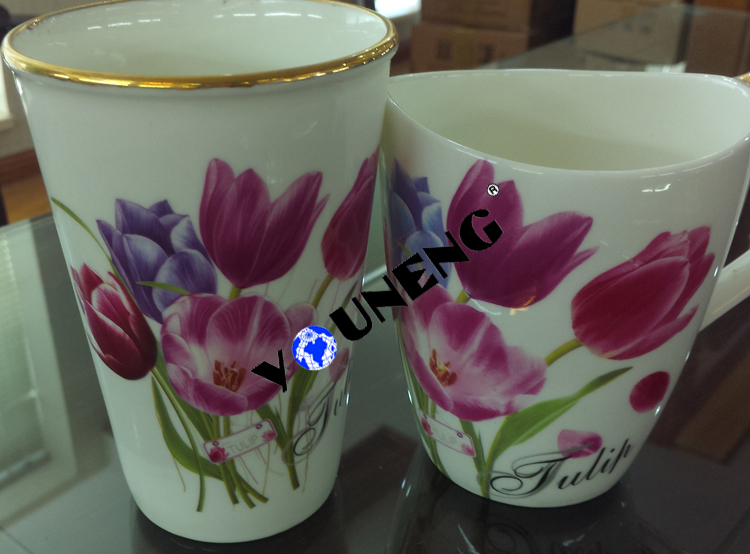 The paint brush for chinaware is difficult for amateur painters to draw with as they have in mind. 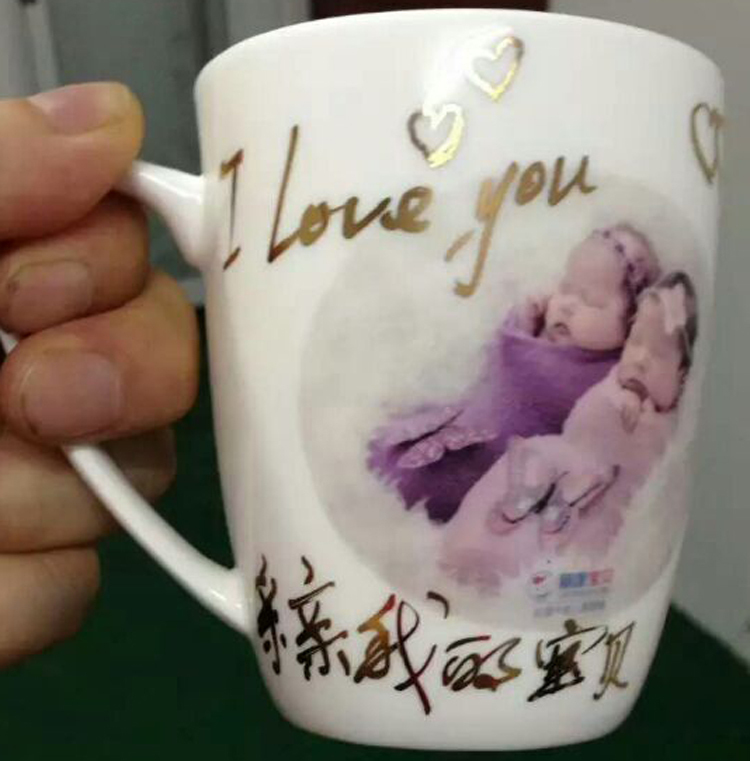 So we bring you Golden Ceramic Maker. With Ceramic Maker, you can easily paint in gold liquid just as easily as you do with fine-tipped felt pen. 1. Pull off the cap and push the felt tip several times with the top of the pen down. 2. After the felt tip is soaked by liquid, paint with it. 3. 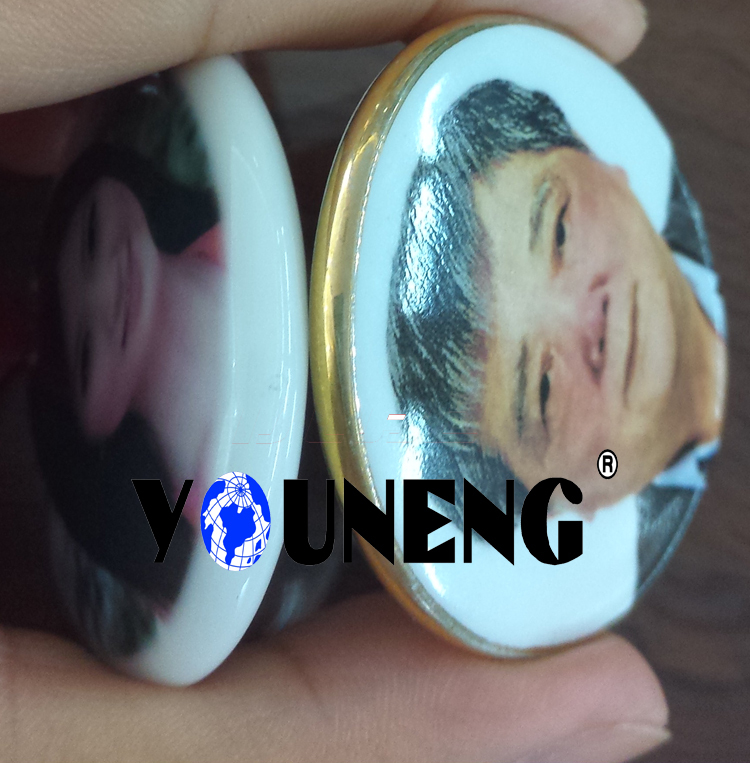 Heating painted ones at suitable temperature, you will get fine metallic film on them. 4. 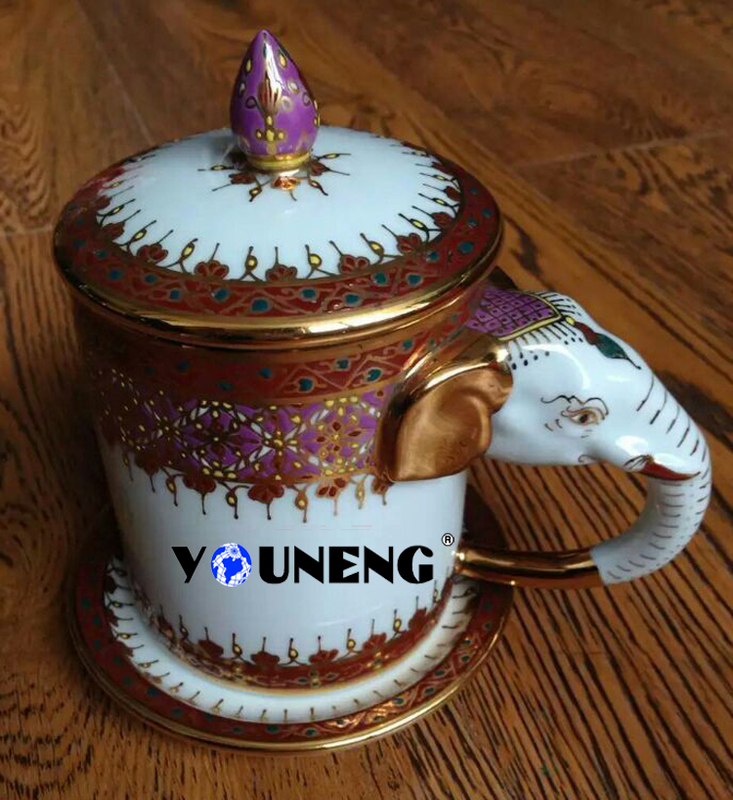 After use of Ceramic Maker, put the cap on firmly and keep it with the top up at the dark and cool place. 1. Convinient to bring and use. No need to clean after use. No expensive golden liquid waste. 2. Sealed Aluminum vessels avoid the golden liquid to be dry or agglomeration. It can fire with normal ceramic decal paper in 600--830 centigrade. 3. 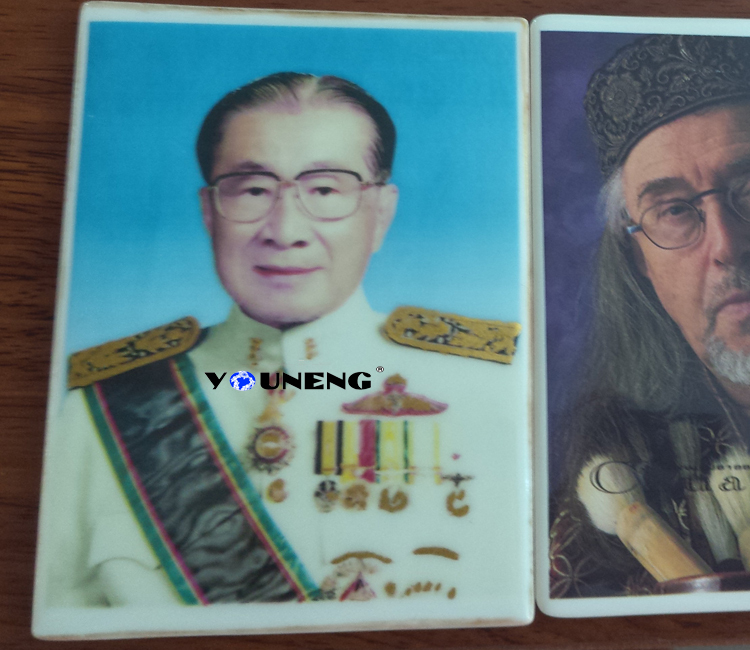 Suitable for different kind of ceramic material. 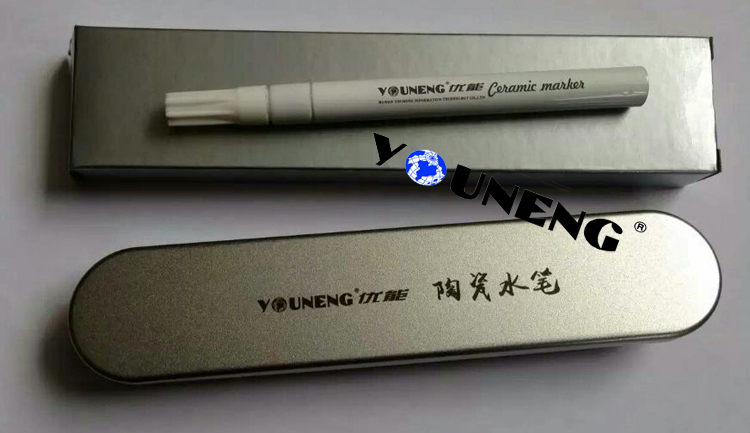 4.Compared with the traditional paint brush, it can draw uniform line. 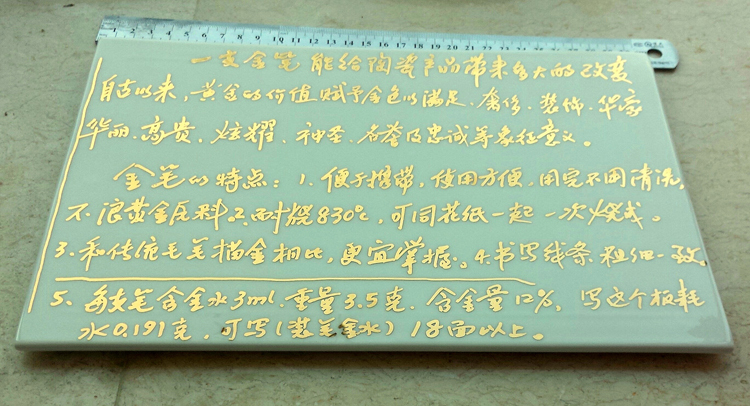 5.Each Ceramic Maker contain 3ml golden liquid, the weight is 3.5 gram. The Gold content is 12%. Can be refilled after it use up.